Brick police have released a photograph of a woman who is suspected of stealing a woman’s purse from her shopping cart at the township’s Walmart store, then using credit cards elsewhere. The theft took place at 12:40 p.m. Jan. 31, said Sgt. Neal Pedersen. 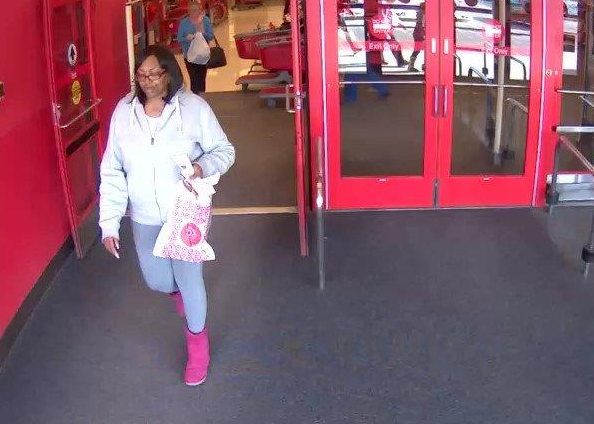 The suspect then went to the Target department store in Toms River and charged $600 on the stolen credit cards that were in the purse. The suspect is shown in the attached picture exiting the Target store at 1:17 p.m. Anyone who recognizes the suspect is being asked to contact Detective Bevacqua at 732-262-4612.